The women behind GIRL+HAIR, LivSo, SDOT Beauty, Cosmic Juice, Shop Jaqs and Marjani Beauty share their thoughts. It’s no secret that starting (and maintaining) a business isn’t a walk in the park. However, we see plenty of examples of women of color who are excelling in this arena—especially within the beauty and wellness space. More often, the “w” in “wellness” has been code for white women, specially with the influx of yoga classes, fascination with crystals and newfound obsession with healers. Despite practicing (and promoting) self-care for centuries, people of color have been unfairly excluded from the conversation. 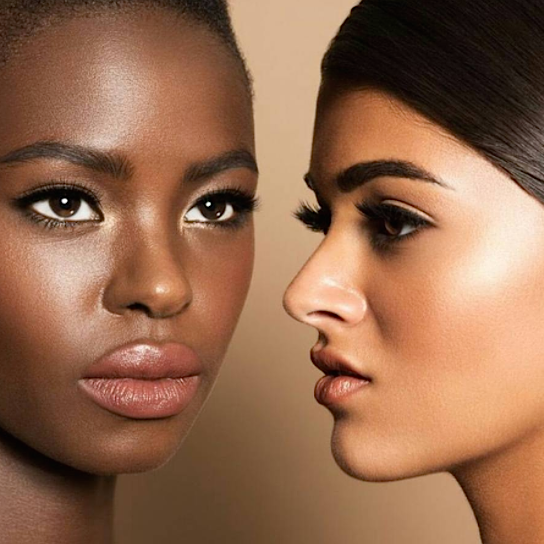 Platforms like Project Beauty Expo and 21Ninety were created specifically with that intent—to bring the focus and dialogue back on us—in mind. We curated a select set of founders to discuss how to ensure women (and men) who look like us are in the forefront. Afterall, self-care isn’t just for Sundays...it’s a 24/7 practice directly connected to our happiness, healthiness and overall, well-being for generations to come. Her journey into the industry started through challenging circumstances—after finding out she was expecting, she also learned that she had an ovarian tumor. “Driven by knowledge, I learned about what was going on with my body, the food I was eating, the many environmental toxins used in beauty and personal care products,” shares Barbara. “I saw a need for products that were all natural, organic, family-friendly, environmentally safe, and result-driven.” Now, she running an vegan, organic, antioxidant luxury skincare line with hero products including her Hibiscus and Wild Carrot Beauty Bar. Dr. Verovic’s advice is simple: “Listen to your inner voice...be your own counsel.” Despite her busy career in the medical field, she channeled her frustration into a product line with nourishing botanical ingredients ranging from Castor to Abyssinian and Sunflower oil, found in her RESTORE+ Protective Restoring Balm. After being diagnosed with acute liver failure, Harlem Wright of Cosmic Juice, used juicing as a way to heal her body, enrich her mind and expand her spiritual awareness. “I found that the mind/body/spiritual connection played a major role in my rehabilitation and decided I should spread the word about the amazing healing powers juicing,” she explains. Harlem evolved from making juice out of her mother’s kitchen for family and friends, to serving the Washington, D.C. market based on demand. “I knew Cosmic Juice could be a viable business when I started hitting the streets and getting juice in people’s hands. They only way I could tell that it’s wanted or needed is if people actually drank the juice!” she shared. She acknowledges the importance of representation on a larger scale, but isn’t a fan seeking a co-signature from the masses. This is evident by Kimberly noticing her customers over index when purchasing foundation shares—a pain point particularly for women of color. Thankfully, Marjani offers over 50 shades, including five minority owned brands. Inspired? If you haven’t purchased your ticket to this year’s Project Beauty Expo on Sunday, August 12th, get yours here! These 6 founders (and so many more) will be on-site to share even more gems in person, plus have their amazing products on hand.